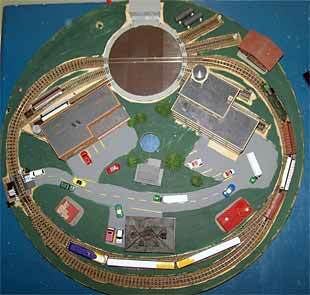 designed and built this round-and-round Brio layout for his Thomas the Tank Engine loco. 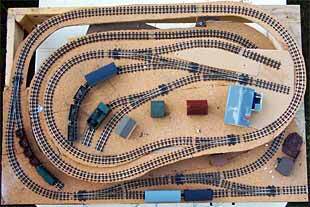 The habit can persist perhaps for a lifetime, as shown by the continuous layouts presented below, each with some potential switching activity but with the main emphasis on having a lot of fun watching trains. 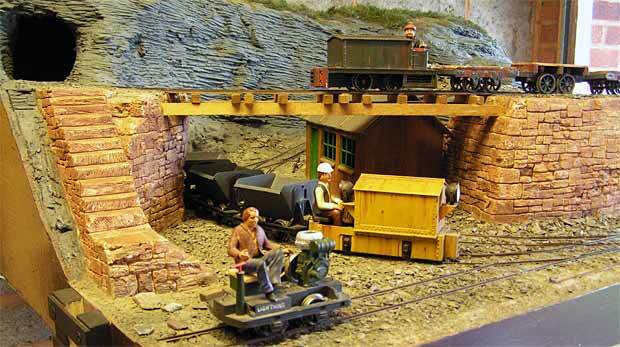 A small industrial tram serving a brickworks is the theme of Christopher Creighton‘s new Gn15 layout, The Bewdley Brick Company Tram. 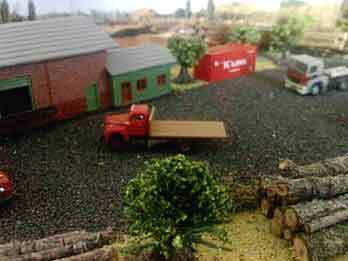 The layout measures 49x22in (101x56cm). 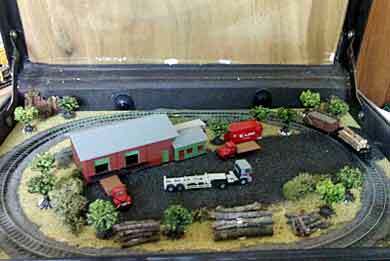 Christopher lives in Schomberg, Ontario Canada, and he’s the proprieter of Schomberg Scale Models, many of whose products are showcased in the layout. 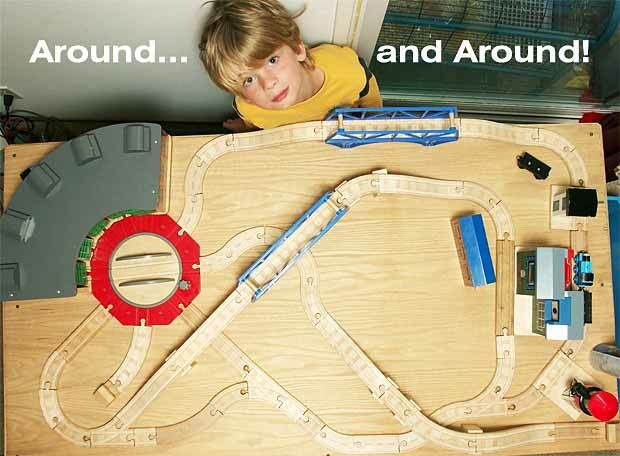 Notice that the “oval” look is avoided by careful choice of structures and by hiding much of the trackage. 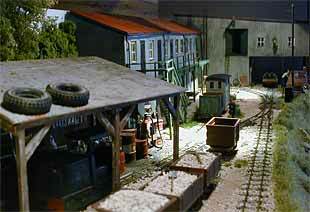 There’s some built-in capability for switching, but the emphasis here is on running a series of delightful little tram locos through the buildings, around the kiln, and past the audience who can enjoy watching the trains in action. At the other end of the scale size spectrum is Bryn Dibyn, a 30x20in (75x50cm) layout that not only provides a bunch of places to switch but manages to circumambulate the board twice in the process! 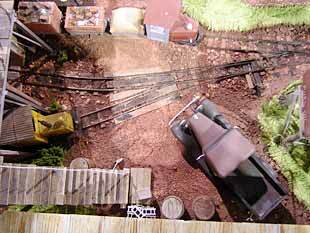 This inverted Figure-8 layout is being constructed by Andrew Smith, from Chelmsford, Essex England. 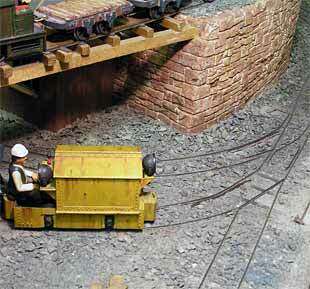 Scale is OO9 (4mm to the foot on 9mm tracks). 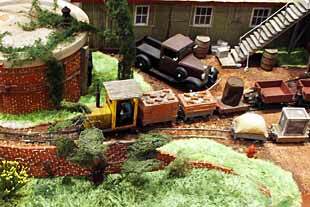 “Bryn Dibyn” is Welsh for “steep hill” — appropriate! 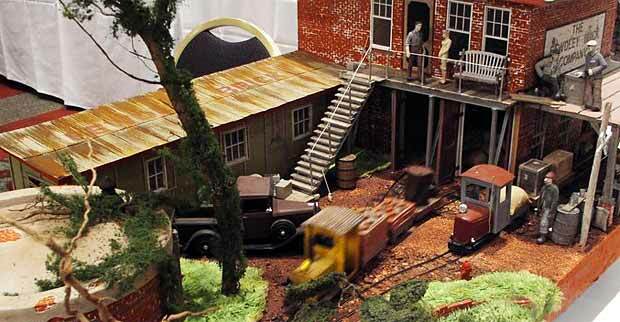 Jim Royal, from South Carolina USA, has built the Gn15 Lunar Glow Distillery Tramway to fit on the coffee table in his sun room, where he often puts it out for guests to enjoy. 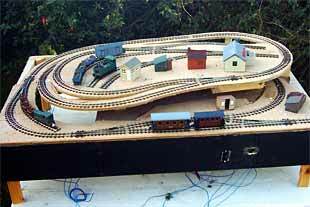 The layout is an oval measuring 44x26in (112x66cm), with a kickback siding providing a bit of switching action. 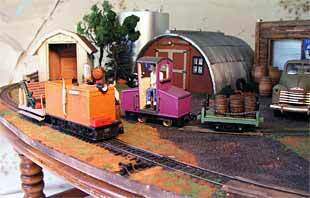 But the main attraction is the tramway trains as they trundle around the loop in their brightly colored liveries. 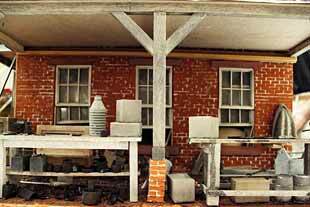 Rick Perry, from Hurtsboro, Alabama USA, built this little portable 1/4in scale railroad in an old briefcase using On30 trains, Code 70 rails, and 5in (12cm) curves. 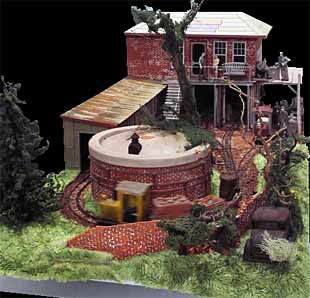 It represents a hobbyist’s backyard narrow-gauge railroad “somewhere in Alabama.” Loco is a reworked Bachmann Porter, and the cars are coupled using a “rooster” (extension rod) to handle the curves. 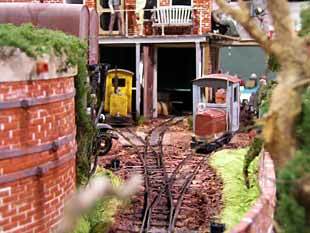 To give you a feel for the size of the little thing, the layout is shown in operation (below, right) at a recent model meet. 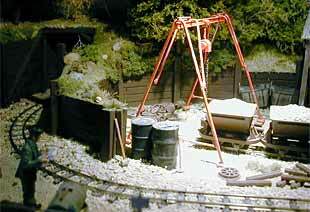 Shamus McMillin, from Saint John, New Brunswick in Canada, runs his N scale layout on a 30in (75cm) lazy susan circle. 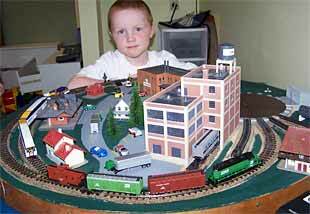 He partnered with his father, James, to build this version of my Columbus Circle design.